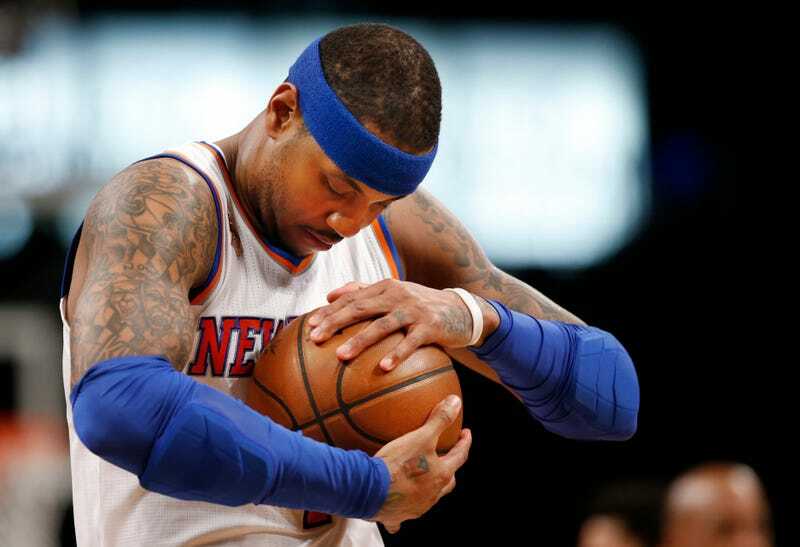 This year has been a trying time for Melo. I’ve seen it for the past couple of years ... But I still don’t want to say [I’m] frustrated. It’s not worrisome. I’ve seen it before. I’ve seen this happen before. I’ve seen it go downhill quickly. I don’t think this is the situation. But we have to turn this thing around quickly. That’s kind of where you have to dig deep at, despite of everything that’s going on, that’s surrounding — I don’t even want to say us — me. It’s testing me. It’s testing my will. It’s testing me as a human being. It also is making me stronger throughout this process. It’s just kind of this cloud over us right now that we have to figure out a way to get out of it ... I think you have to be in it, you have to be going through it, in order to understand it. From the outside looking in, it looks bad. And it’s even worse when you’re getting through it. It makes it easier when you’re around guys who actually are going through the same situation that you’re going through, or their own situations ... So it’s good to kind of bounce information and ideas off and just get advice and thoughts. And also share kind of what I’ve been going through and what other guys have been going through. I told y’all, I’m done asking why ... I don’t even think y’all should ask nobody about that. Just leave that one alone. Please. It’s over. It happened. Let’s move on. I try to put everything into perspective. I think about it all. I think about here ... I just think about everything. It’s not just one specific thing that I think about. I think about it a lot. I try to put everything into perspective. I don’t even know my role. I don’t know my role to be honest. I see the writing on the wall. I see what it is ... I see what they’re trying to do, and it’s just me accepting that. That’s what puts me at peace.